The second annual poker run organized by Donnie’s Pub in Fort Coulonge saw drivers and snowmobilers collecting cards from all around the Pontiac on Saturday. From left: Mathieu Levesque and Magalie Boisvert get ready to take off from the bar. 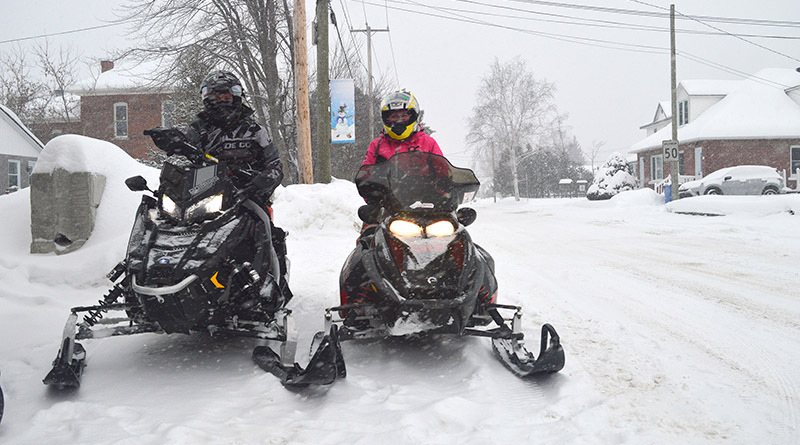 Pontiac snowmobilers were in all their glory on Saturday, when a Fort Coulonge bar’s poker run was met with the perfect conditions for a day of zipping around the countryside. With five stops and plenty of kilometres to cover, Donnie’s Pub’s second annual poker run proved a big hit while simultaneously showcasing many local businesses.